Nelson County strives to retain its rich rural heritage while developing businesses and services that complement the natural beauty and enhance the quality of life for those who live in it. There are abundant opportunities for outdoor recreation available in all parts of the county, from the top of the weathered Blue Ridge peaks down to the wide bends of the James River. These options include hiking along the Appalachian Trail or to the top of Crabtree Falls (the highest cascading waterfall east of the Mississippi River) and excellent canoeing or fishing on the James or Tye Rivers; and cycling on U.S. Bicycle Route 76 or one of the many Virginia Scenic Byways. Additionally, one of the boundaries of Nelson County is milepost zero of the Blue Ridge Parkway which closely mirrors Nelson County’s northwestern border for 30 miles. Wintergreen Resort is a four season resort with many amenities. For the golfer, there are two golf courses: a mountain course (Devil’s Knob – residents & guests only) and a valley course (Stoney Creek). 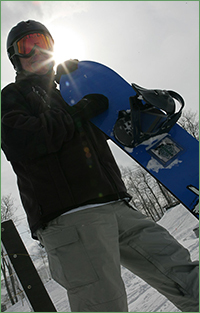 Skiing and snowtubing are popular in the winter with 26 slopes and trails. Several restaurants and lodging choices are available along with conference facilities. The Nature Foundation at Wintergreen offers many programs and, during the summer, the Wintergreen Performing Arts series provides a variety of musical programs. 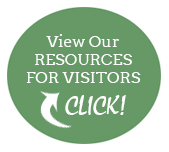 Take a drive through the historic districts and areas of Lovingston, Schuyler, Afton-Greenwood, South Rockfish or Norwood-Wingina, and Warminster along the James River and view some of the historical homes and scenery in Nelson County. Long established family orchards such as Dickie Brothers, Saunders Brothers, Drumhellers, Seamans’ and Fitzgerald’s provide apples in the fall and hold fall festivals on the weekends. 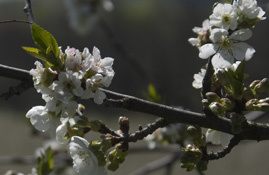 Other seasonal fruits available are peaches, strawberries and blackberries. Many smaller farms provide produce to local farmers markets and restaurants with many of them growing organic products, including meats and cheeses. Nelson County offers a variety of locally produced wines and beers. With easy access to the Route 29 corridor, the following wineries are open to visitors: Lovingston Winery, Delfosse Vineyards and Winery, Democracy Vineyards, Brent Manor Vineyards and Mountain Cove Winery. Along the Route 151 Rockfish Valley Highway are Veritas Vineyard and Winery, Cardinal Point Winery, Afton Mountain Vineyards, Flying Fox Vineyard and Hill Top Berry Farm and Winery. Most of the wineries have special events on selected weekends and usually include music and food along with wine tasting. 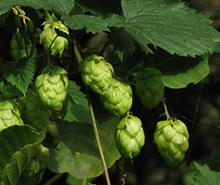 The Brew Ridge Trail has taken the craft brewing world by storm and has become extremely popular in Central Virginia. Nelson County is proud to be the home of Blue Mountain Brewery, Devils Backbone Brewing Company, Blue Mountain Barrel House and Wild Wolf Brewing Company. All four breweries have been producing celebrated craft beers that are critically acclaimed and celebrated far beyond our region’s borders. www.brewridgetrail.com And now open: Woodridge Farm Brewery in Lovingston. Bold Rock Cidery in the Nellysford area features various hard cider varieties made from Virginia apples. In Wintergreen, you can also taste a variety of ciders at Blue Toad Hard Cider at High View Farm. Silverback Distillery in Afton produces ultra premium vodka, gin, whiskey and bourbon. Also try the American Single Malt Whiskey from Virginia Distillery in Lovingston and opening soon – Woods Mill Distillery in Faber. 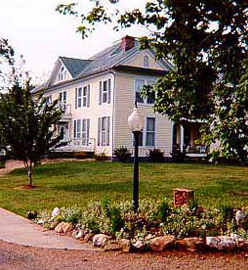 The lodging establishments in the county are primarily bed and breakfasts, or mountain cabins, locally-owned and operated. The restaurants and dining options offer a variety of foods with many offering Virginia grown products and are also locally-owned and operated. The Monticello Artisan’s Trail (Nelson and Albemarle Counties) links the many varied arts under a unique umbrella for marketing their products. The organization connects the studios, galleries, and retail shops selling art with points of interest, restaurants and lodging in the area. Many country stores provide a variety of deli foods, fishing and hunting licenses and other services to their communities. Visitors can also peruse eclectic antique stores that are located throughout the county.